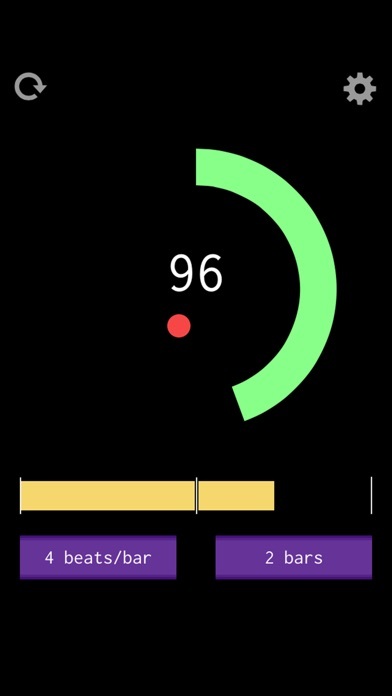 A clean, no-nonsense app for counting beats, bars and measures for performance or practice. Whether you are a professional musician or just learning, you'll find Beat This! useful for a variety of situations. It's not just a metronome, it's a tool for both writing and arranging songs, and for live improv performances. Best of all, it's a 100% free app that runs on any iOS device in glorious 60fps. This app is perfect for musicians, DJs, music teachers, students, live performance, improv electronic music, jam bands and more.